While downtown Denver can meet current tenant demand for up to 20,000 square feet easily, tenants seeking larger blocks of space have very limited options. 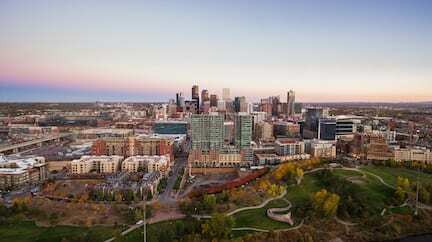 Denver continues to capitalize on its strengths as a growing market with exceptional talent. We have diverse companies choosing to locate downtown and millennials taking advantage of an accelerating startup culture, heightening the focus on our city. Over the next five years, downtown Denver’s forecasted population growth rate is 12.6 percent compared to the U.S. average of 3.7 percent. While this growth will undoubtedly make downtown Denver even livelier, it raises the issue of ensuring we have adequate supply of competitive and sizable blocks of office space to meet this new charge. 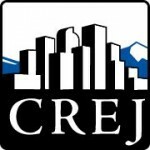 Those developers who can proactively plan for the construction of new, larger-size buildings or have the wherewithal for viable adaptive reuse of large properties will be well rewarded during the upcoming four to six years with steady tech tenant demand continuing to solidify in downtown Denver. Our concentration of talent has attracted diverse companies seeking to start operations, relocate or expand. Tech startups have contributed heavily to new commercial lease activity. The total number of tech startups in downtown Denver increased by 13 percent over the past two years. In the past year, five of the largest funding rounds expanded to Denver such as Welltok, Galvanize, Ibotta, ProtectWise and GoSpotCheck, and nearly 8 percent of center city businesses are startups employing more than 4,500 people collectively. Denver’s competitive office rents also have generated interest. Our overall average office rental asking price is $25.69 per square foot – still significantly cheaper when compared to the epicenter of tech startups, San Francisco ($69.77 per sf), and submarkets such as Seattle ($34.30 per sf) and Austin, Texas, ($34.19 per sf). We are roughly on par with emerging tech cities such as Salt Lake City ($24.24 per sf) and Phoenix ($24.26). Much of the current tenant demand is for 5,000 to 20,000 sf of office space, and those seeking such space have numerous options, whether movein ready or built out, to meet their requirements. Conversely though, new tenants seeking 100,000 sf of downtown space have limited options, typically in second-generation buildings that cannot accommodate their requirements. Titans such as Amazon, which is seeking 100,000 sf to 150,000 sf, and AIG, seeking 300,000 sf, have very few appealing options for large blocks of modern space downtown. Two new buildings will help. Hines’ 40-story 1144 15th Street is on track for completion in January. And Patrinely Group’s 32-story Block 162 is due to break ground at the end of this year, for delivery of an additional 606,500 rentable sf in early 2020. These two significant projects will offer large-block, high-rise space, the first in downtown Denver in more than three decades. Most other demand will be relegated to our older buildings with smaller floor plates, shorter ceiling heights, challenged glass lines and fewer amenities. Although this older building stock will continue to fill an important need, additional high-rise buildings with large blocks of space will be required to accommodate large companies seeking downtown space. The success of new construction and tenants willing to pay for it has been underscored by the significant lease-up success enjoyed by the most recently completed new buildings in downtown Denver. Clearly, both small and sizable tenants alike are showing an appetite and willingness to pay to pend rates for new, efficient space. With a firming oil and gas sector complemented by an ever-increasing demand by tech companies for additional space, the lack of attractive large blocks of available space likely will be a hindrance on long-term space absorption in the downtown market and may yield some relocations out of the submarket to suburban locations along light rail as these buildings will be less expensive and will be the only options for large blocks of space to be quickly delivered. The lack of large blocks of space has been a challenge in our market before, notably when Boeing was considering Denver for its headquarters relocation from Seattle in 2001. Too often, Denver will lose to competing cities such as Dallas, Phoenix and Salt Lake City, which generally have large blocks of space available in new buildings. Continuing the improvement of our older office buildings and focusing on long-term investment in new construction will allow office building owners to capitalize on Denver’s renaissance.